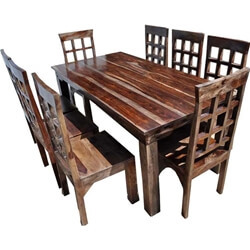 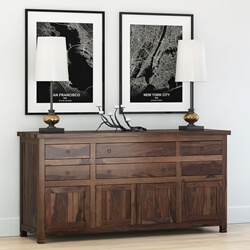 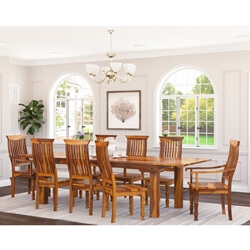 This Portland Solid Wood Extendable Dining Table Set is built from a popular variety of Solid Wood, which is a favorite among furniture artisans due to its dramatic wood grain patterns, strength, and durability. 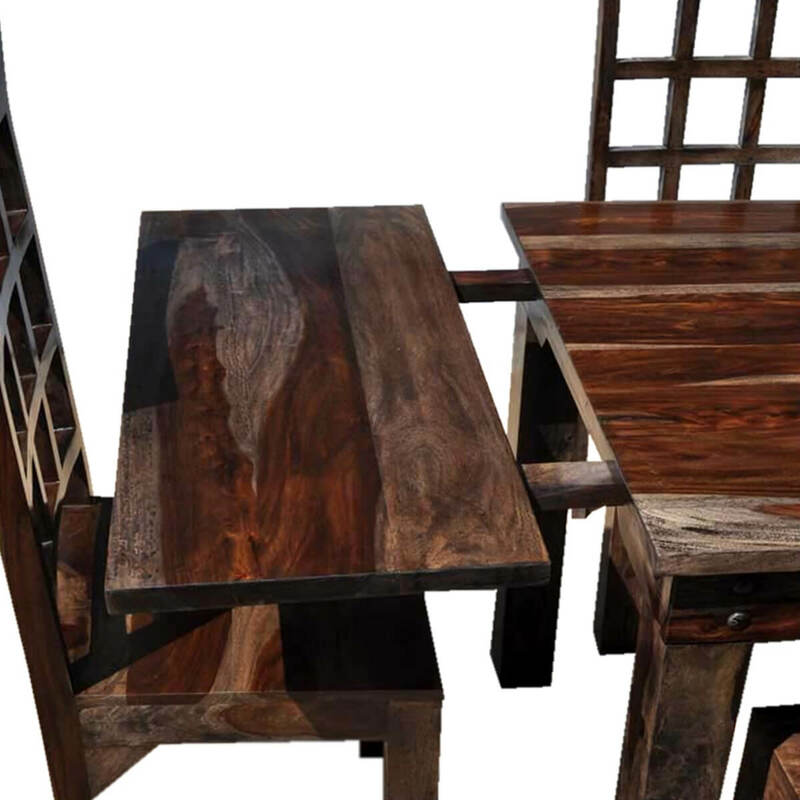 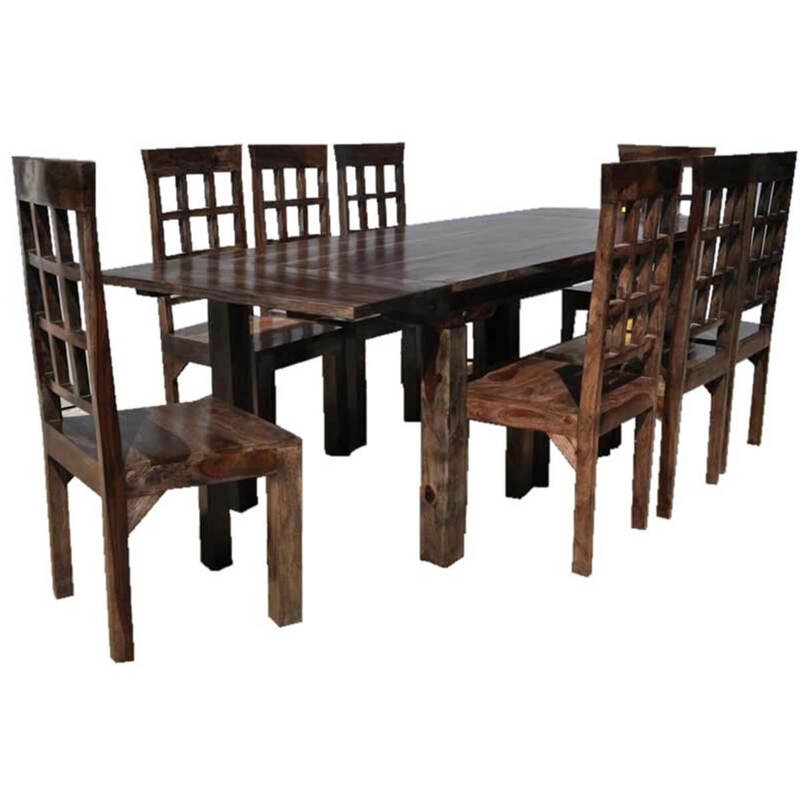 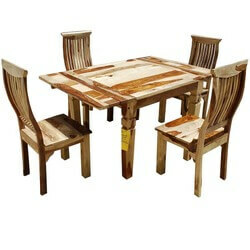 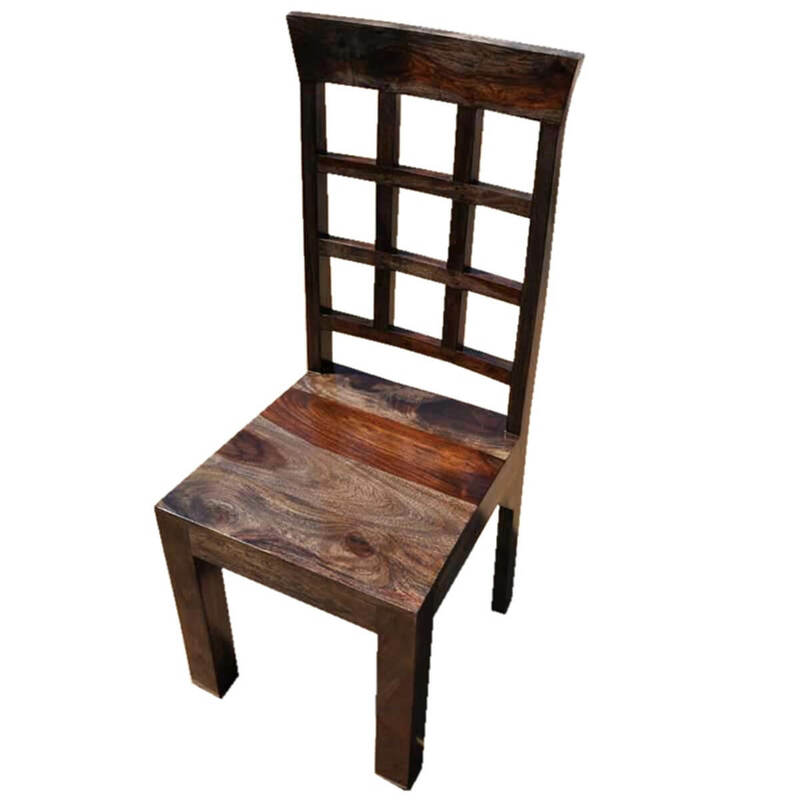 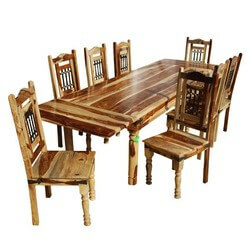 Now you can have the space you need when you need it with our beautiful Solid Wood dining table and chair ensemble. 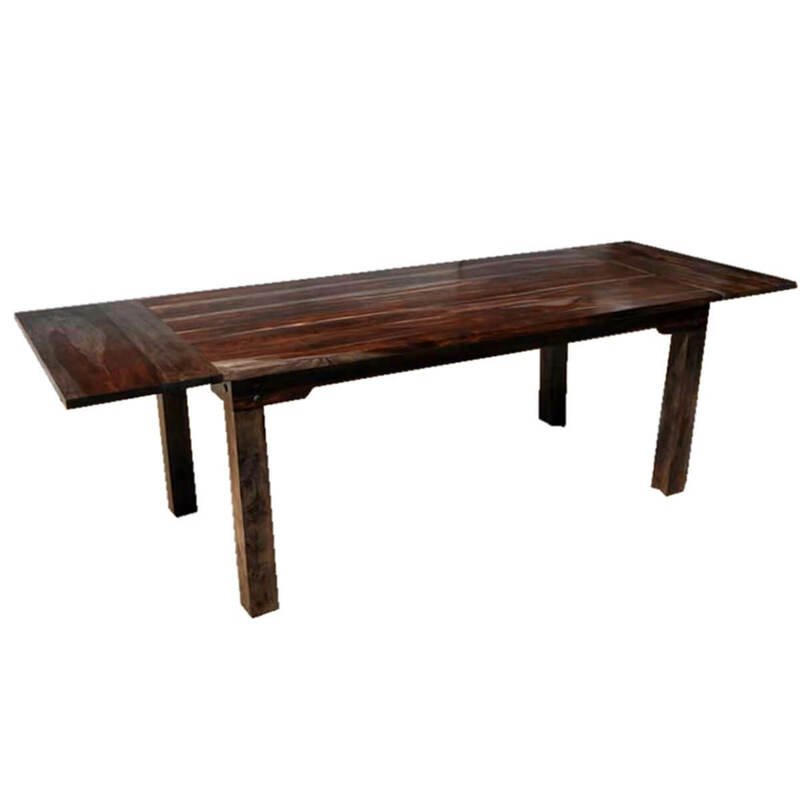 The stunning table has a plank wood top with block legs. 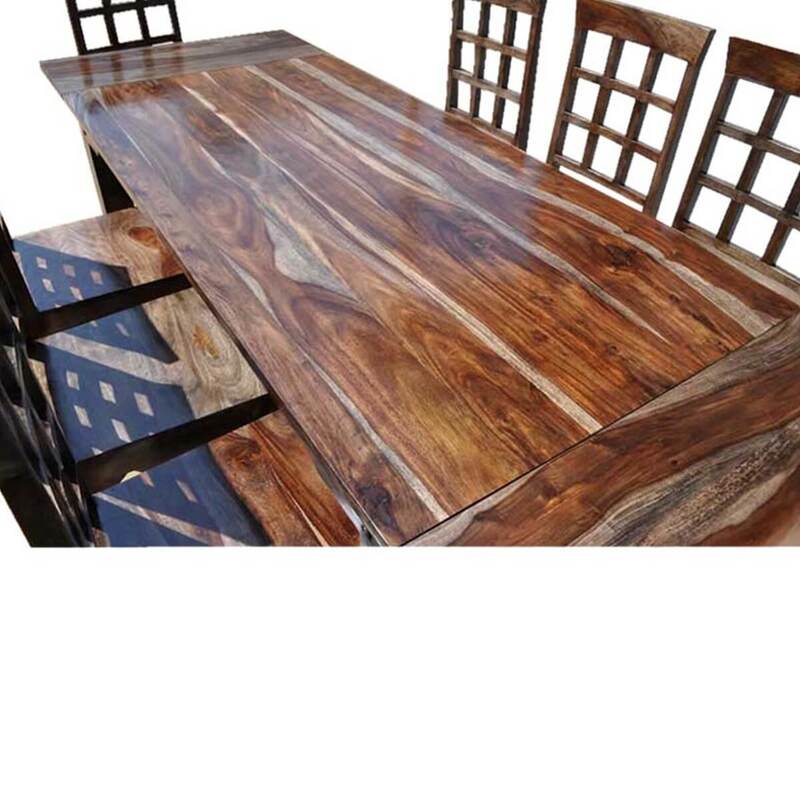 The extensions frame the table. 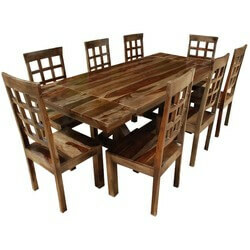 This set also includes eight chairs with window pane backs and wide comfortable seats.